When you rock this Tyler Reddick 2018 Xfinity Vintage Trucker Hat, everyone will take notice. 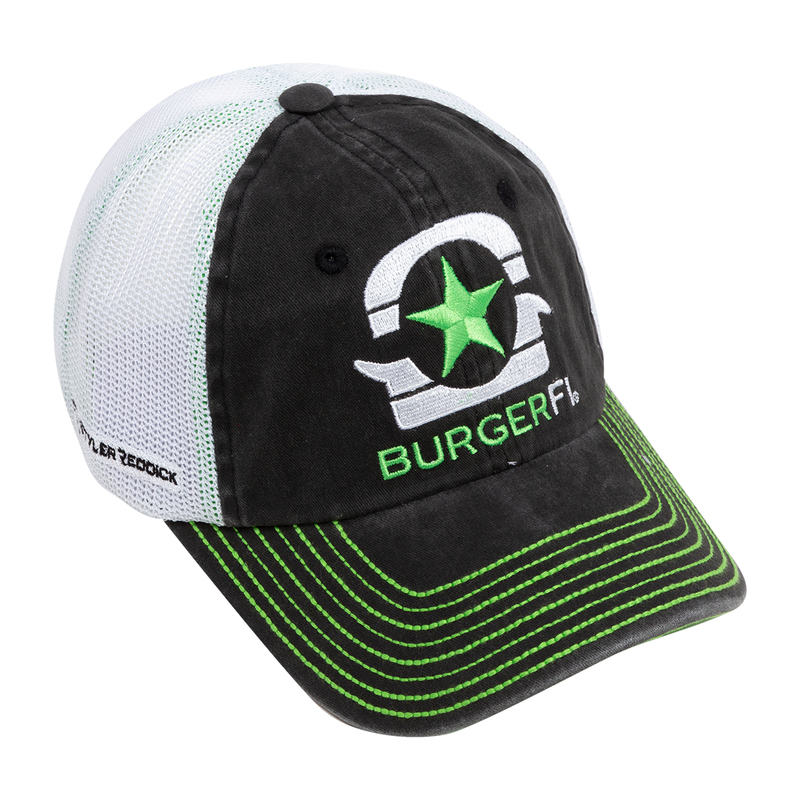 Not only will you be able to support your favorite driver but you'll look stylish doing so in this new cap! Fresh Tyler Reddick graphics will make this your go-to hat for heading to the track. I love my Tyler Reddick BurgerFI hat, purchased with my order of a Tyler Reddick Championship shirt. The hat is very colorful and puts my favorite driver out there. The hat is comfortable and looks great! !